What Is The Average Semi Truck Accident Settlement Amount? One of the most common questions asked of a Los Angeles truck accident lawyer is how much will my truck accident settlement be worth? An accident with a semi-truck is unlike an accident with any other vehicle. The injuries are greater, and property damage is often beyond physical repair. The responsibilities of a trucker also differ from those of a passenger vehicle driver. So does the insurance coverage mandated for trucks. Let’s examine the details of a truck accident settlement to provide an idea of what is involved. Truck accident cases are complex and range from those involving big rigs to tanker trucks carrying hazardous cargo. Generally, someone injured in a truck accident will file a civil lawsuit in court to reclaim the financial damages incurred in the accident. The insurance company may wish to settle the lawsuit quickly. The settlement amount offered by the insurance company is often much lower than the amount that will be needed to pay doctor bills and make up for lost wages. Since the injuries are bigger and the time spent recuperating is often longer than other motor vehicle accidents, the insurers try to settle before the extent of the financial loss has been fully calculated. An experienced truck accident settlement lawyer is able to advise their clients on the settlement offer based on their knowledge of the situation. 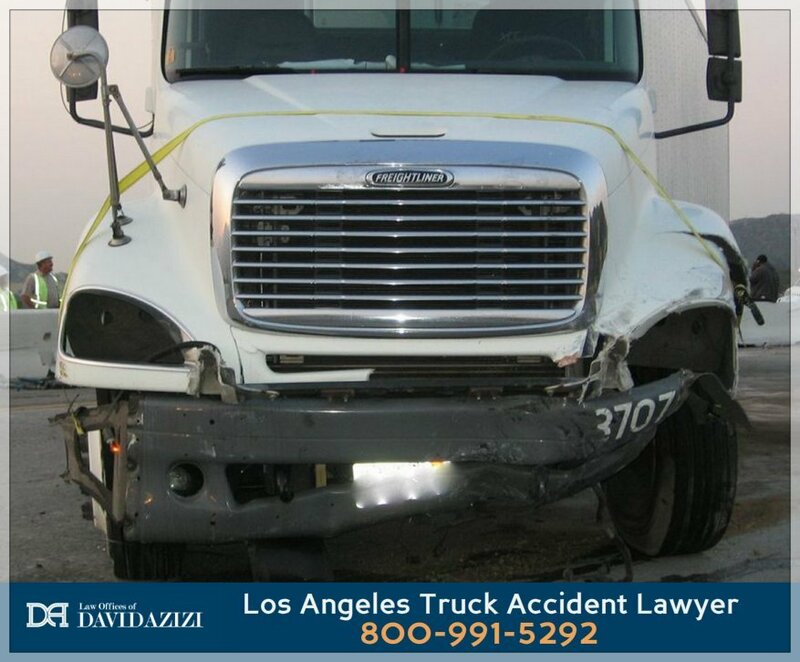 David Azizi has helped many clients who were injured in truck accidents recover the compensation they need and deserve for over two decades. He understands the stress the accident victim and his or her family are under. Dealing with insurance companies is second nature for David. If a just settlement is not placed on the table, David will continue with litigation. Either way, you can rest assured that he will do what is right for his client. How an Accident Reconstruction Expert Can Use Animations for a Car Accident Lawyer"Law Offices of David Azizi - 1-800-991-5292 An accident reconstruction expert is very important when it comes to a car accident personal lawsuit. In this video, David Azizi of the Law Offices of David Azizi explains how animations can be extremely important in a claim. This is something that has changed drastically with technology including computers and iPads. 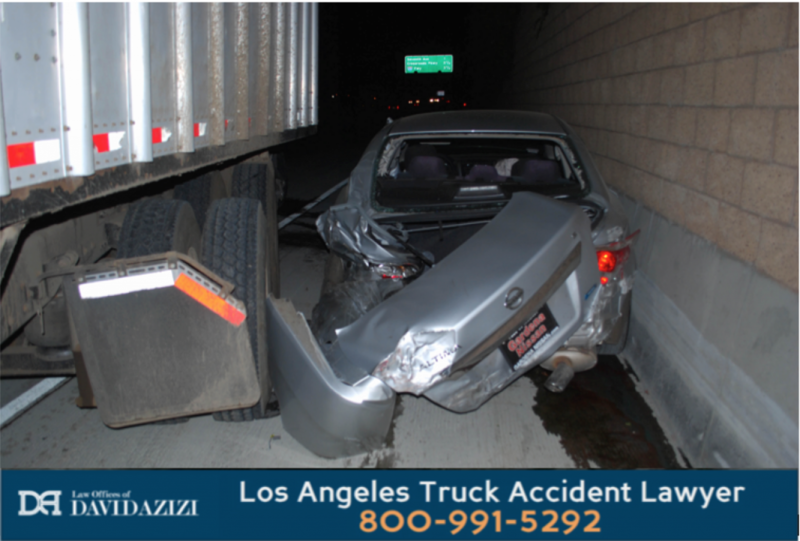 Much more here: http://www.davidazizipersonalinjury.com/los-angeles-car-accident-attorney/#expert"
What Is Used to Determine Actual Settlement Amounts For Truck Accidents? There are many factors that are used to determine a truck accident settlement amount. First of all, it is important not to rush to settle a claim until all the information is accumulated. There are different areas that need to be dealt with. One is fault. The other is the extent of the injured person’s physical injury. Until both have been investigated, moving forward with a settlement is inadvisable. The bottom line is once you settle, you are not able to recover any further damages associated with the accident. Establishing fault in a truck accident is important. Insurance companies and opposing legal counsel will often try to shift the blame from the trucker to the plaintiff (the injured party). David Azizi will go to the accident site to piece together the accident as it happened. He utilizes accident reconstruction experts who use computer-driven equipment that takes the position of the vehicles before and after the accident to construct a viable model of the collision. Witness statements taken from the scene of the accident are useful in this investigation. Often witnesses see events in a clearer way since they are not physically caught up in the accident itself. If statements seem vague, David will question the witnesses as he builds a better understanding of what happened. Since the accident site is often cleared quickly to allow traffic patterns to resume, it is important that a truck accident attorney is involved from the beginning. If the site has been cleared, the law firm will ask that any physical evidence be retained. This allows for retrieval of black box data, which can be used to determine the actions taken by the trucker in the moments before the accident such as braking. The information supplied by the accident reconstruction experts and witnesses can be used to prove negligence on the part of a trucker. It can also be used to refute any attempt by opposing counsel or the insurance company to put the blame on the victim. One of the main reasons insurance companies press to settle the accident early is that they do not want the victim to know the extent of their injuries. Right after a car accident, it is impossible for anyone to know how badly they are hurt or how quickly they will heal. Some injuries do not manifest themselves until days later. In addition, initial treatment may be less useful than originally thought. Surgery may be needed after conservative medical treatment fails. Rehabilitation may take longer than expected, and in some cases, not reach the desired level of effectiveness. Other factors such as the harm the accident causes to the injured victim’s personal life and career are not knowable until treatment and recuperation are finished. Finally, truck accidents cause psychological damage to many truck accident victims due to the brutal nature of the accident itself. There are several factors used to determine the amount of your settlement. Some are clearly defined monetarily and are called economic factors. Others are subjective and are called non-economic damages and include pain and suffering. Together they are referred to as compensatory damages. Let’s start with the economic factors. Medical Expenses: This category includes all costs pertaining to physical injury and its treatment, beginning with the cost of an ambulance ride to the hospital, emergency room care, hospital costs, doctor’s bills, medication costs, surgical procedures. Procedures such as X-rays, CT and MRI scans, rehabilitation, physical therapy and transportation to and from medical visits. Medical expenses also include stays in a nursing home or a rehabilitation facility. Future loss due to medical expenses can also be included. Lost Income: Wages and bonuses you would have received had the accident not happened are included. If the person took vacation time or sick days from work while being treated for the injuries, these would be compensated also. In the event that the individual is unable to work in the future, the wages he or she would have earned throughout their employment are covered. Even if the person is partially disabled, the reduction in earning potential is compensated. Damage to Property: Damages to property caused by the accident are included in the economic damages. These are easily quantified and involve loss of a motor vehicle. Since truck accidents often cause significant damage to a passenger vehicle, total loss is generally compensated. Pain and Suffering: This is a legal designation that includes several important factors an individual may face after an accident, including disfigurement, physical pain, anxiety, fear, grief, inability to concentrate and insomnia. Others experience loss of enjoyment of life as they knew it before the accident. This includes both present and future loss. Emotional Pain: Emotional pain is a significant issue in many truck accidents due to the overwhelming nature of the crash. Some face fear on a daily basis, including fearfulness of being in a similar situation. This can lead to not being able to leave the house due to travel fears. Anxiety can also be a big part of emotional distress after a truck accident. Some individuals develop a condition known as post-traumatic stress syndrome that causes them to relive the event repeatedly. Loss of Consortium: This ranges from the loss of companionship when engaging in activities common to the victim and his or her family or a lost relationship with a spouse due to an altered persona. It is often filed by family members and included in the lawsuit or settlement. Punitive Damages: Such damages are used as both a deterrent and a punishment for the defendant who engaged in egregious activity. For instance, if a trucker drove in such a way that was likely to cause considerable harm to others, he or she would be considered flagrantly disrespectful of the rights of other motorists. This is enhanced by the size and weight of the truck. Wrongful death lawsuits are brought against the defendant (trucker or trucking company in this case) for the loss of a family member. The lawsuit is filed by direct family members such as a spouse or children among others. For more information on wrongful death, please view our wrongful death page. Truck owners have different coverage limits than non-commercial drivers. The Federal Motor Carrier Safety Administration requires that trucks have $750,000 to $5,000,000 policies, depending on the materials they haul. An experienced truck accident attorney, upon being retained, will demand that the truck owner or trucking company send the coverage limits for the truck involved in the accident. This is called a declarations sheet (DEC) and provides the full coverage the truck carries. After treatment has concluded, the final tally of expenses can be used to determine the full damages associated with the accident. The final assessment depends on why the accident happened. For instance, if during the investigation, it is shown that a trucker failed to maintain their vehicle or drove with faulty brakes and that caused the accident, this shows that negligence was involved. Since trucking companies are expected to hire competent drivers, a driver who fails to operate the truck in a prudent manner is a reflection of a lack of competency. In a truck accident, it is not just the truck driver but the trucking company that is responsible. While the dollar amounts do not change, the trucker’s neglectful actions and failure to follow safety rules can be presented to the jury in detail. Insurance companies would rather settle before a truck accident lawyer has the chance to investigate the accident or before the damages have fully accumulated and been reviewed. We offer a truck accident settlement calculator for your review. However, since variables pertaining to your case can increase the final outcome, speaking to a seasoned lawyer is a prudent way to begin. If you have suffered injuries due to a negligent trucker, you need legal representation due to the complexity and extent of such crashes. Turn to David Azizi by calling (800) 991-5292, 24 hours every day. You can contact his law firm online by using the contact us page on his website. Once the preliminaries are established, we will set up a free case evaluation. During this, David will review your case and provide the options you have. David champions the rights of his clients. No case is run of the mill for him. Rather, he works hard to ensure that each client receive the compensation they deserve. By retaining David Azizi, you put your case in the hands of the man Expertise.com called one of the top lawyers in Los Angeles. This rare combination of compassion and knowledge makes David the go-to person to contact when a truck accident happens.